Designing duo Daria and Anastasia are breathing new life into the now inescapable industry of sustainable fashion. The Florentine sisters share a birthday that inspired the name of their brand, February First, which seeks to transport fashion back to the age of the artifact. After studying painting, drawing, and sculpting in Russia, the pair decided to take the stories and legends that they adored, and make them modern. ‘Buy less, but buy better’ applies nicely to February First’s ethereal, romantic pieces that seem to steal sustenance directly from the earth itself. Daria and Anastasia consider themselves intensely attracted to textures from nature, “almost irrationally.” By using less-than-common materials like fish skin, moss, nettles, and even ‘muskin’ (mushroom skin), the clothing pulls the wearer back in time to the days before fast fashion and the might of machinery. 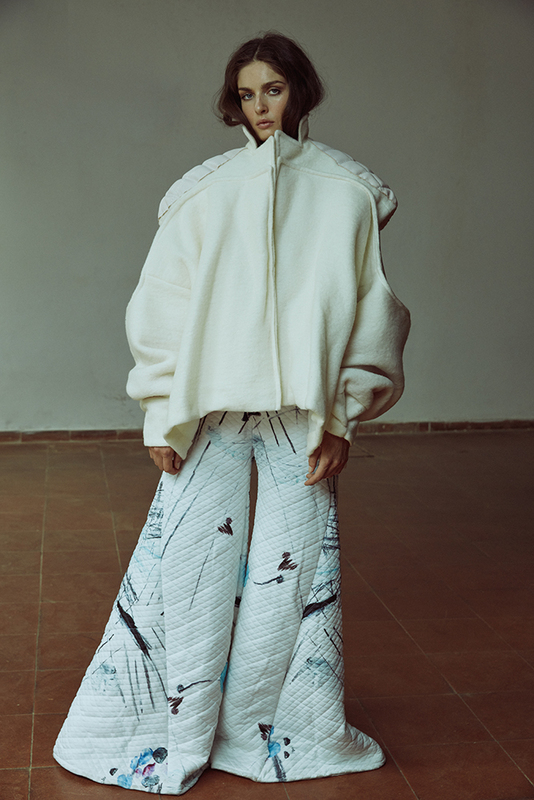 The duo desires for the buyer to form a deep connection to the clothing, in an effort to encourage the end of over-consumption and the preservation of tradition through new interpretation. The inspiration for their most recent collection, entitled Equanimity, was drawn from a vintage photo of a young kick-boxing girl. 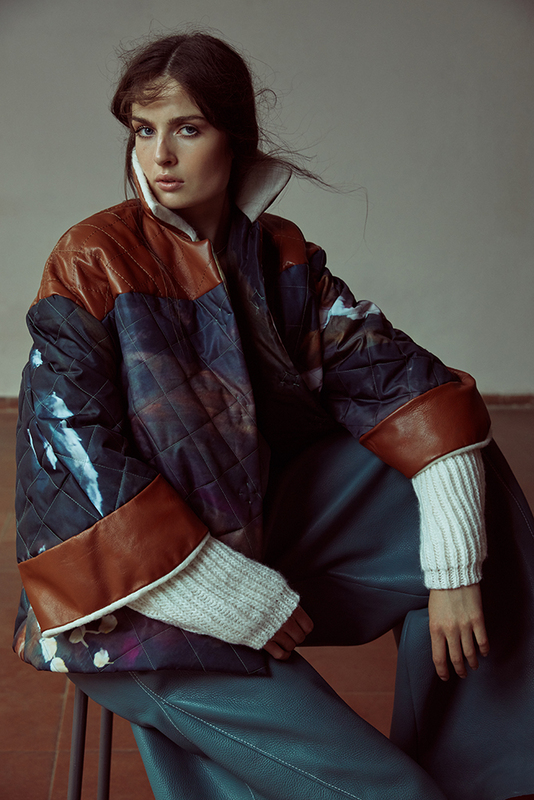 Vintage sportswear and Icelandic national costumes are tied together with woolen embroidery and distinctive textile prints to create a new Northern fairytale. Combining vintage concepts with modern silhouettes is a mainstay of the February First DNA. 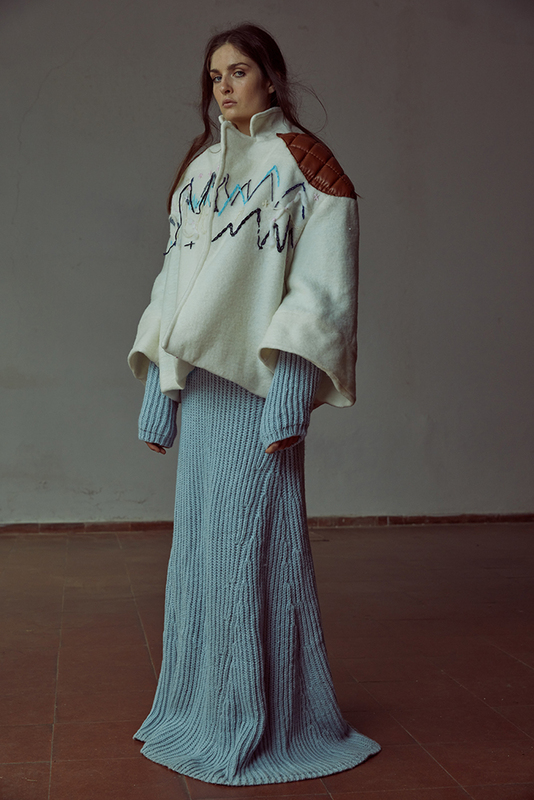 The remaining ingredients are knitwear, volume, painting, and much more often than not, dramatically large sleeves. The designers believe that traditional costumes and fairy tales are interpretations of ancient wisdom, and that by reconfiguring the designs, they are simply translating the same ideas into a new language.